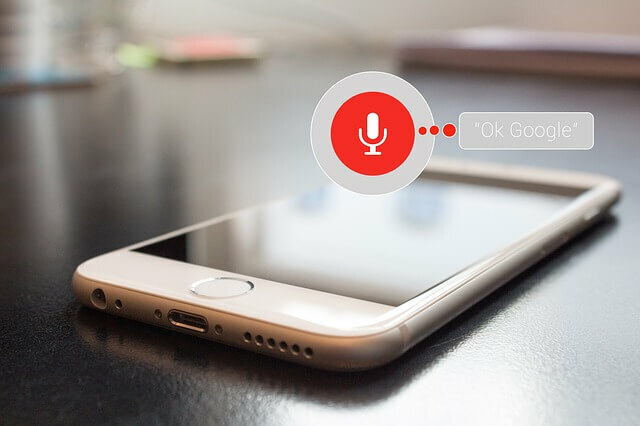 Voice Search Optimization – Introduction Digital marketers are on their toes after Google estimated that 50% of all searches on the search engines would be conducted by voice activated devices by the year 2020. That is not far away and the trend of using voice searches have been growing at a rapid pace since the whole concept began a few years back. Search Engine Optimization (SEO) has become imperative for every website worth their salt to ensure they are found when their potential customers intend to look for them. If they are not found then they would never be able to get the attention of their prospective customers nor would they be able to sustain their business to longevity. They would rather fall off in the wilderness of the search engines and remain there without meeting any of their objectives. Voice searches would bring a new dimension to how potential customers would look for what they would want on the search engines. Hence it would be imperative that every website would need to flow with the trend and join everyone else in ensuring they too “keep up with the Jones”. Products, services and ideologies that are being offered through the search engines by their websites need to keep up with what unfolds around them. They just cannot ignore any of the intricacies associated with it. Hence they need to bring the latest technologies to ensure they are also on par with their competition. Failing to do so would injure their pride and competitive place on the digital platform, fatally and deal a death knell from which recovery could be impossible. They need to bring the technologies that are being constantly assimilated into the search engines if they are to be a force to reckon with and the latest being voice activated searches. It is only then could they counter every move their competition would implement to be better than the rest. It is a rat race out there and like that age old saying, it is “the early bird that would catch the worm”. Voice Search Optimization – Since the advent of the internet and its use in marketing, the digital platform has transformed immensely and is used prolifically today, by all and sundry to get the attention of their respective potential customers. Many innovations have come along to spruce up the digital marketing platform. They have all contributed immensely to what we see today, keeping digital marketers on the edge to ensure they bring in all technologies suitable to their brands to ensure above all, survival. Voice searches is the future and with prolific growth seen in this arena and statistics so far being very encouraging it is imperative that every brand has the required technologies to ensure its efficiency. Every brand is invariably represented on the digital marketing platform and when it filters down to local searches efficient SEO strategies are imperative. Your brand should be up there where your potential customer could find it. Towards this end every brand has been bending backwards to ensure they have what it takes to be where they could be found. The growing popularity of voice searches has ensured that every brand has no alternative but to adopt it. When they do it should be with the latest technologies out there so that their needs meet the end. Implementing strategies for the sake of doing it would be futile but it would need to be efficient to the hilt to bring the desired results. Every strategy that is implemented would need to bring results, failing to do so would need it to be either removed or improved upon. The tremendous growth that we have seen on the digital marketing platform is because it is being used prolifically by everyone to find what they want. This would improve further with voice searches in the future. Voice Search Optimization – Voice searches are where internet users would use various devices from digital home assistants to mobile devices to make required searches for information that they would need. Like punching in the much hyped and often used traditional keywords for a impending search on the now proliferating search engines, this would be a welcome change. You would need to speak out your keyword and your home assistant or mobile device would employ those words and initiate the search that you commanded. It would look for the best answer to your query and read it out loud and clear for you. You could ask questions and the device would answer after searching the internet. It would be a very fashionable way to live your life by assimilating any information that you would need. The world has always looked towards innovating and without doubt voice searches could be the way forward in the future. Unlike some gimmicks that appear and disappear as time goes on, voice search devices are expected to grow not only in popularity but also in technology. Its acceptance has been universal and voice searches have been embraced by those who are using it today. Hence it is very unlikely that it would fade away into the past. On the contrary it is embedding itself into the intricate fabric of the digital marketing platform. It is proving its worth and it is on the road to a very exciting future as far as digital marketing and all prospective customers out there are concerned. To ensure that you use the latest technology that is available and also to upgrade as time progresses your website would need to have the best backup initiatives. Towards that goal you could look for the best in the business and there would be none other than the most experienced. Click onto the website https://www.webdesignatny.com/ who would ensure you are ahead of your competition. In the alternative you could call them up on telephone number (844)336-3700 for a quick response to do your bidding and ensure that you would be “the first bird to catch the worm”. Your prospective customers are out there looking for you and it is your prerogative to be found. The best way would be to mount a dual strategy which would be to get you found on the traditional SEO and the now popular voice search optimization. This would not be the appropriate time to be left out of the action, with many devices coming into the fore like the Google Home, Amazon Echo and the Apple Home Pod it is imperative your brand is there too. High technological innovations are proliferating and it is imperative that your website too pulls up its socks and be there where it could be found. Various sources have conducted surveys to bring the voice search innovation and its importance in today’s business world to the attention of those that matter. Perusing them it is quite evident that this trend is growing and would leap to great heights within the next couple of years. 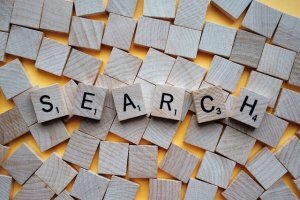 Google has rightfully claimed that it would be the future for all searches on the search engines and those brands implementing it would gain immensely. If you are to go by the statistics available it is encouraging and would need your immediate attention because every second could be very precious. A comprehensive survey conducted by the respected Bright Local shows that during the last year (2018) it is known that 58% of consumers have used voice search to find local business information when needed. The survey also shows that on a daily basis there are 46% of users who would look for a local business to engage with them. There are also 27% of those who have done a voice search getting onto to the search engines to complete their search which could result in an engagement. It would also interest you to know that 76% of all those who have a smart home speaker using it at least once in a week. An encouraging 53% of them use the voice search home speaker every day. For them it would be a daily routine to get some information from their home speakers as and when they want it. This shows that the smart home speaker is going to be the most used device in any home or office in the future and it would remain so for a very long time. Another survey conducted by Global Web Index shows that 20% of adults use a voice search on their mobiles at least once in a month. The other study done by Edison Research enlightens that 22% of those who have used the smart home voice speaker have ended their search with a purchase during a period of thirty days. Another 20% is known to conduct a voice search at least once in a day. All this and many more add up to the fact file that voice search is the new trend that is taking the digital marketing platform in a whirlwind and if you are expecting positive results from your website you should follow suit too. The best in the business to help you out would be at, https://www.webdesignatny.com/ . They have the experience and the expertise to ensure that you stay ahead of your competition. If you would like to bring about a revolution in the way you would be conducting your business it would be imperative that you call up the experts on their telephone number (844)336-3700.